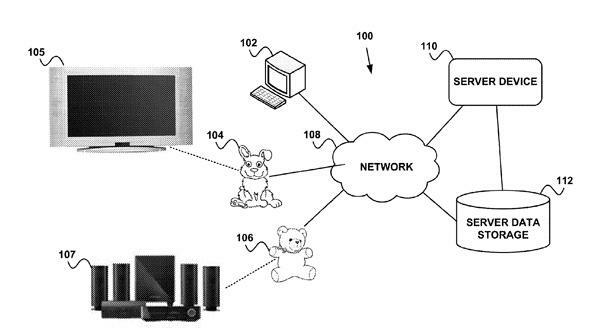 Google X patents Internet of Things toys for kids. Sure, totally gonna put one of these in a nursery. Between targeted advertising and tailored search results, you may feel like Google knows too much about you already. This new patent isn’t going to help. Filed in 2012 and published last week, “interactive electronics that support social cues” are devices that react to the voice commands and movements of children. They’re essentially toys—but super-creepy ones. The teddy bear at the center of your universe. The anthropomorphic device may be a doll or toy that resembles a human, an animal, a mythical creature, or an inanimate object. The anthropomorphic device may have a head (or a body part resembling a head) with objects representing eyes, ears, and a mouth. … By making ‘eye contact’ with the user, the user is presented with a familiar form of social interaction in which two parties look at each other while communicating. What is a body part resembling a head? The FTC has been proposing standards for Internet of Things devices, but on the whole they’re still a long way from being secure. And in terms of privacy, who knows how much a Google rabbit could figure out about you if it became your kid’s favorite toy.